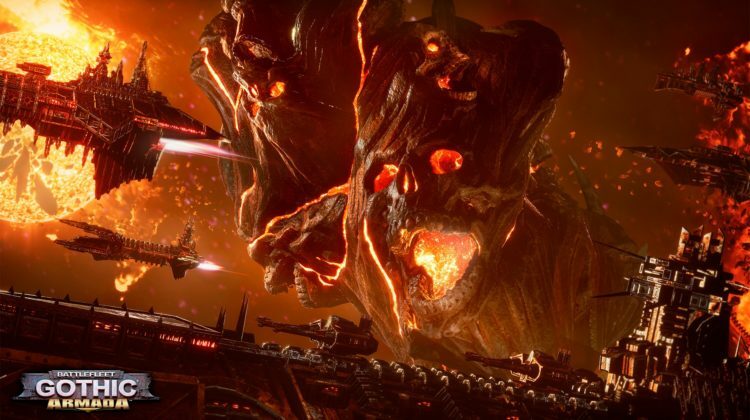 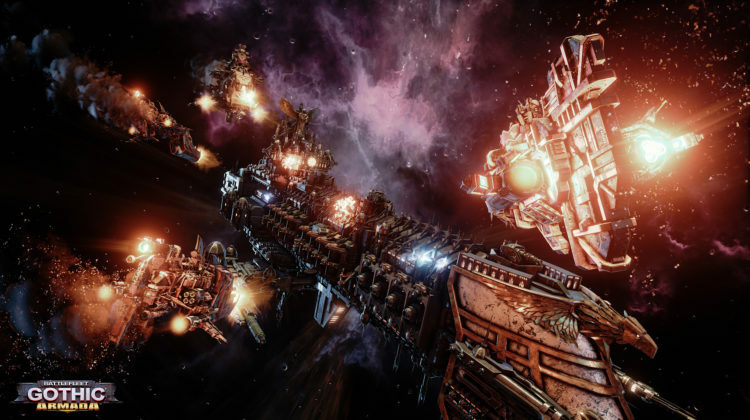 Battlefleet Gothic: Armada is a video game adaptation of the famous tabletop game from Games Workshop. 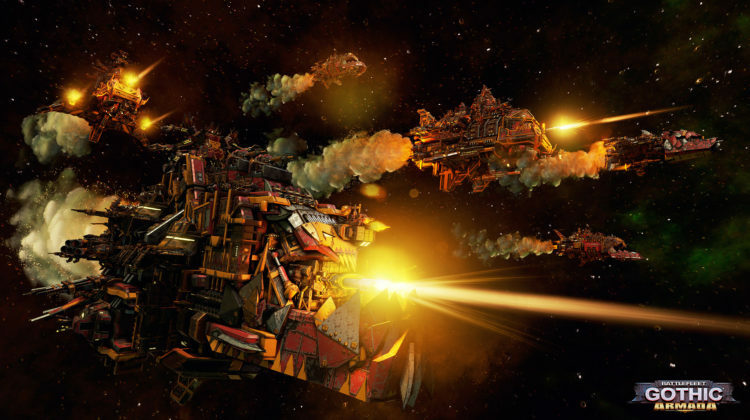 The game stages the mighty armada of the Imperial Navy’s Battlefleet Gothic against the insidious and galaxy-threatening Chaos Black Crusade of Abaddon the Despoiler in dark, deadly and intense space battles from the Warhammer 40,000 universe. 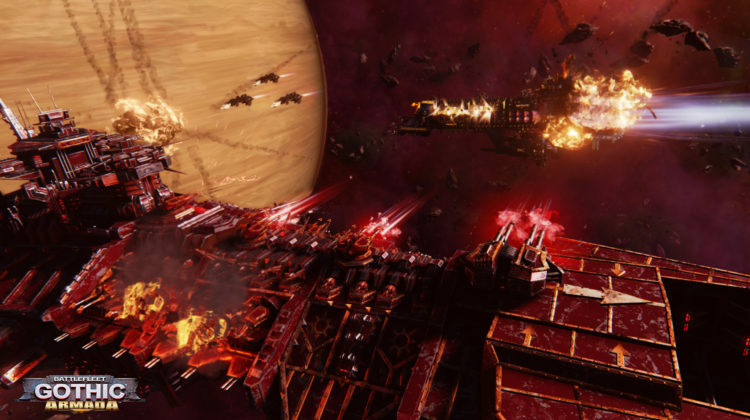 The game offers deep management of every ship composing the player’s fleet, both during and between battles. 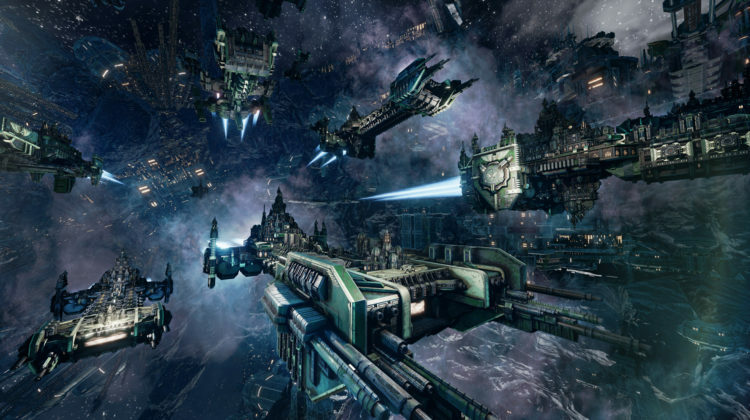 From the fastest frigates to the gigantic, miles-long battleships, the player will customize all aspects of his ships: weaponry, defense and support sub-systems, etc… each customization affecting the very performances of the ship and the special abilities available during battle. 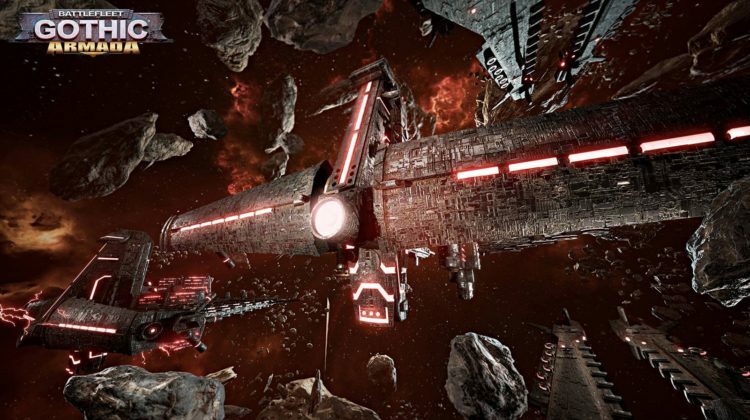 From battle to battle, the admirals and crew of surviving ships will gain experience and promotions, improving the battle-readiness of the ships for future, bigger and more dangerous battles.